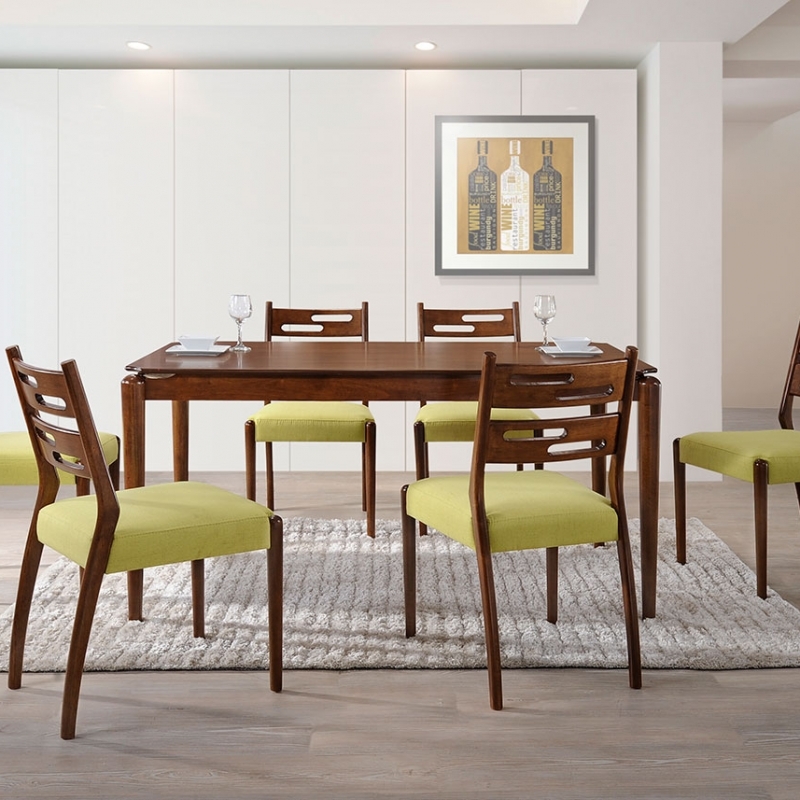 This rectangular table with drop leaves is perfect for a small dining space. The oak finish takes on a cottage appeal with solid wood table top. The chairs' curved backs have a pierced detail on the top rails and engineered wood seats to provide comfort during meals. 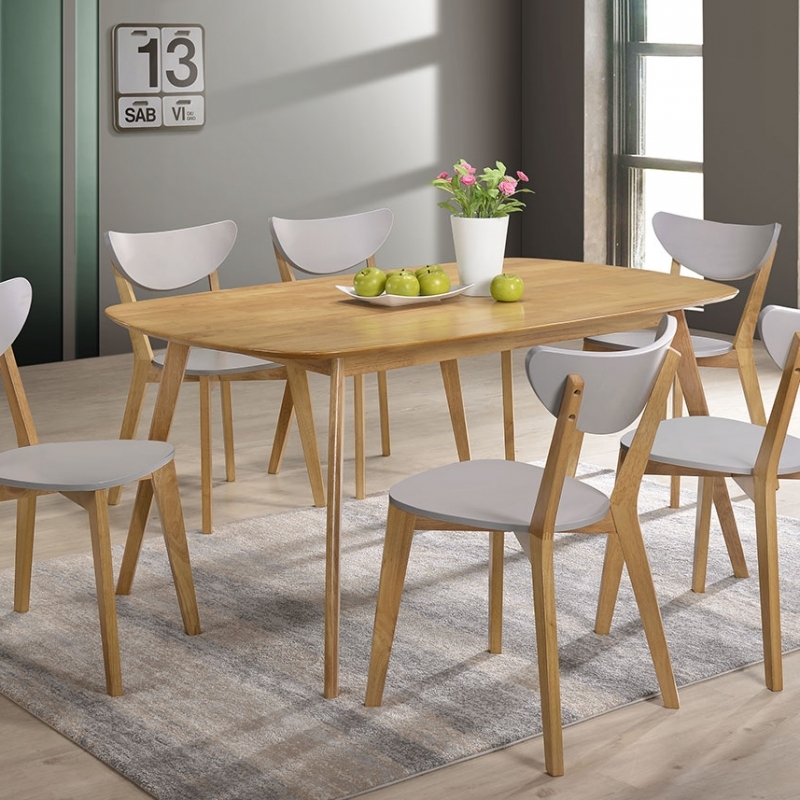 This Serpens Dining Set is sporty and trendy model with slim body table and chairs polished in beech color for better look, comfortable as well as economical. 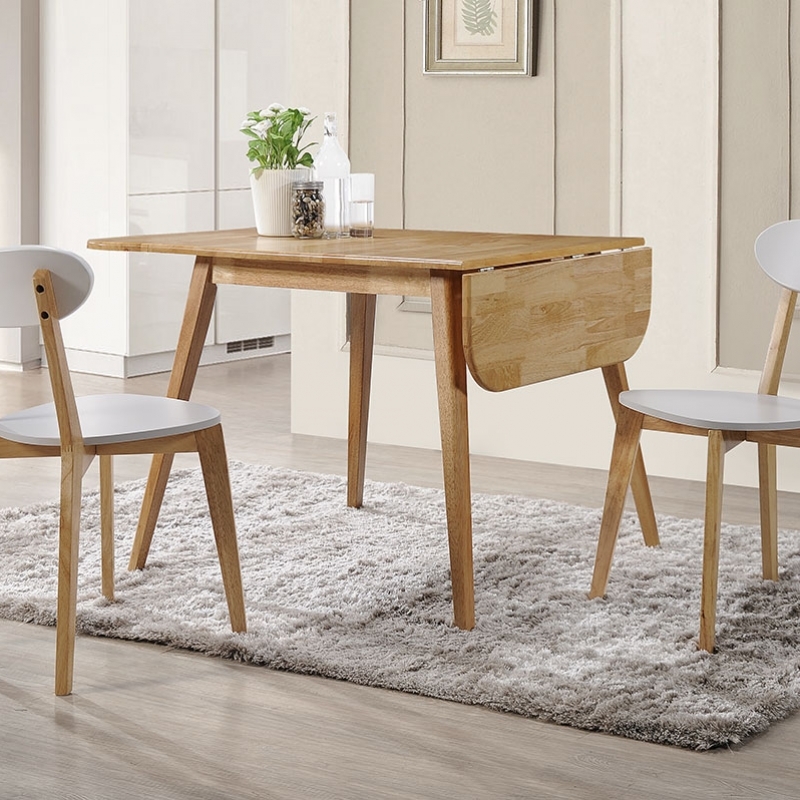 Makenzie dining table lends mid-century modern appeal to any dining arrangement. Made from solid rubberwood in a walnut finish, this charismatic design features a gently bowed rectangular tabletop with smooth, curved corners and four long, tapered round legs. 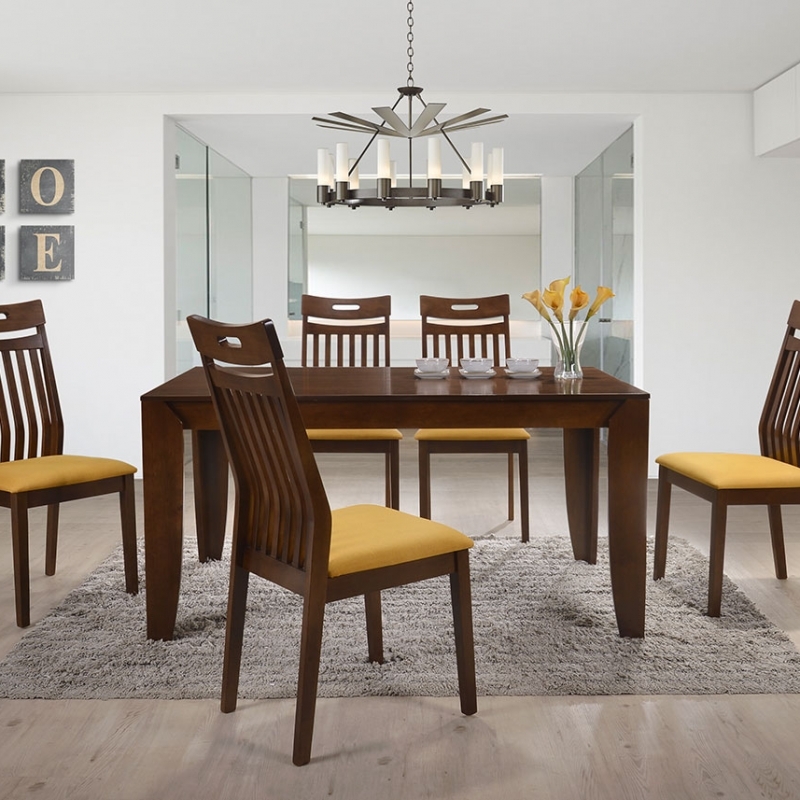 The mid-century modern style with this curated dining table set is apart from any other dining set in its class. 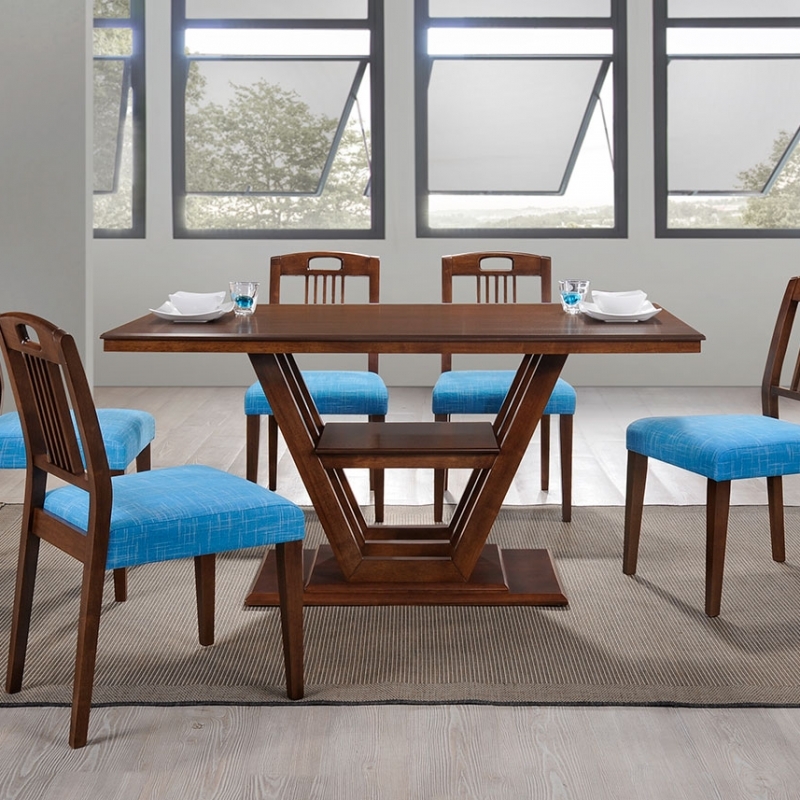 Both the table and chairs are built with solid rubberwood and veneered making this a durable and secure dining set that is sure to withstand the test of time. Designed with a close attention to detail, the curved backrest and generously sized seat provide a maximum level of comfort for all who sit. The rich cappuccino finish complements the veneer and the result is artistically sublime. 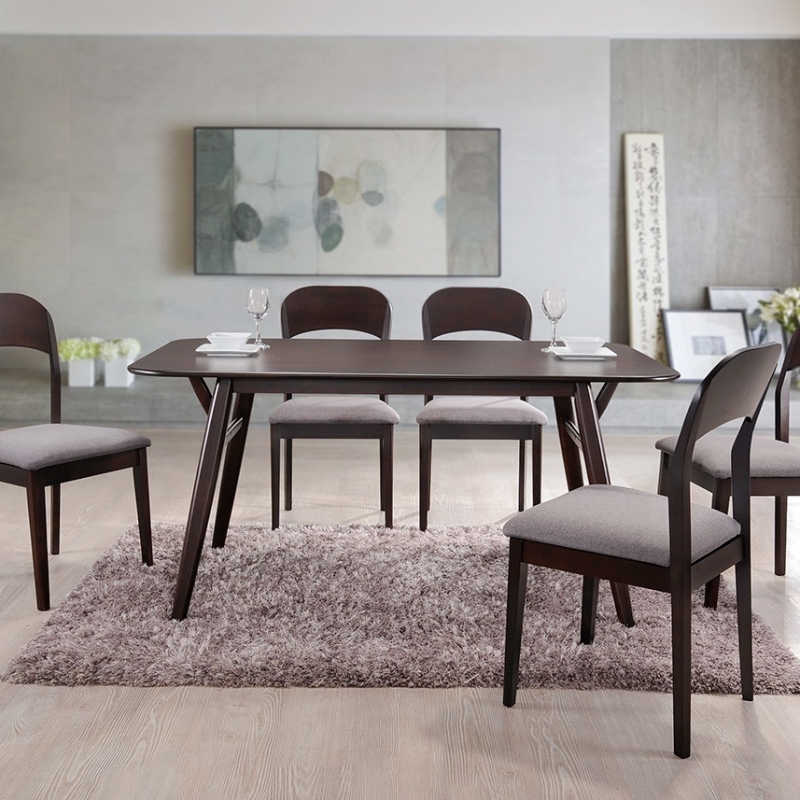 Subtle angles and rich neutral brown hues lend sophistication to this contemporary dining table. The simple, modern Mia Table is made from eco-friendly solid rubberwood and top with veneer finish, easily dressed up with flower arrangements, candles, or other centerpiece decor. 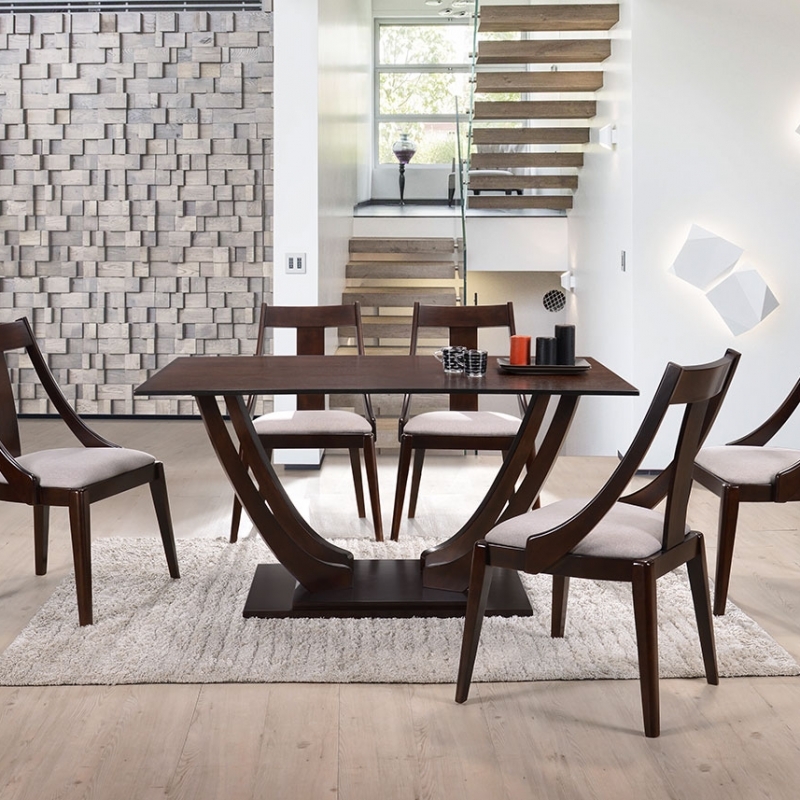 Erica dining set is a oriental contemporary style in cappuccino finishing. 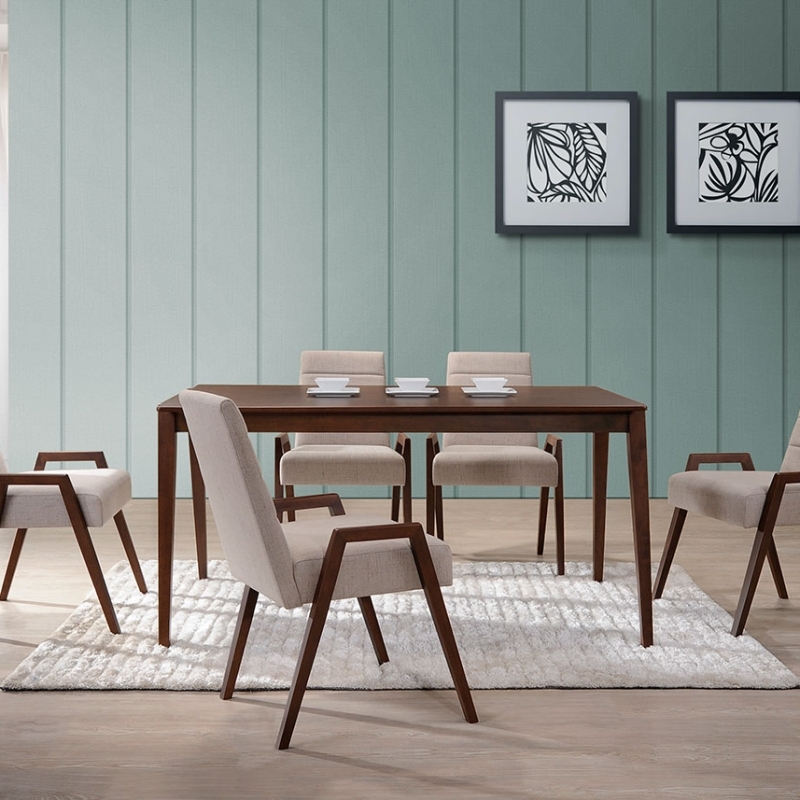 Ultra-modern in design and ultra-inviting in feel, the chair collection will be the perfect addition to the table. Seating designed to cradle your body is made of solid wood & padded seat covered in a cool brownish fabric. Dining tables are hot spots even when there’s no food on them. Playing games, helping with homework or just lingering after a meal, they’re where you share good times with family and friends. We make ours sturdy and durable, in lots of styles to help you find what suits your taste.